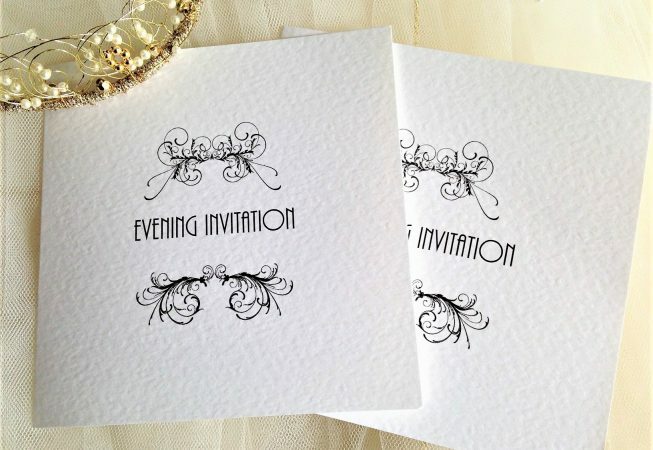 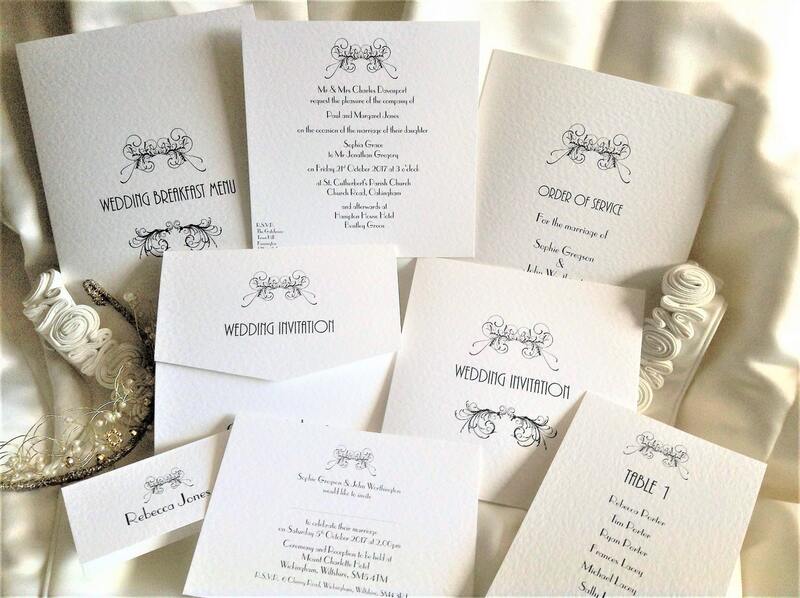 Art Deco Square Centre Fold Wedding Invitations are attractive personalised wedding invitations supplied on a thick heavy weight (270gsm) hammered card and are available in white or ivory. 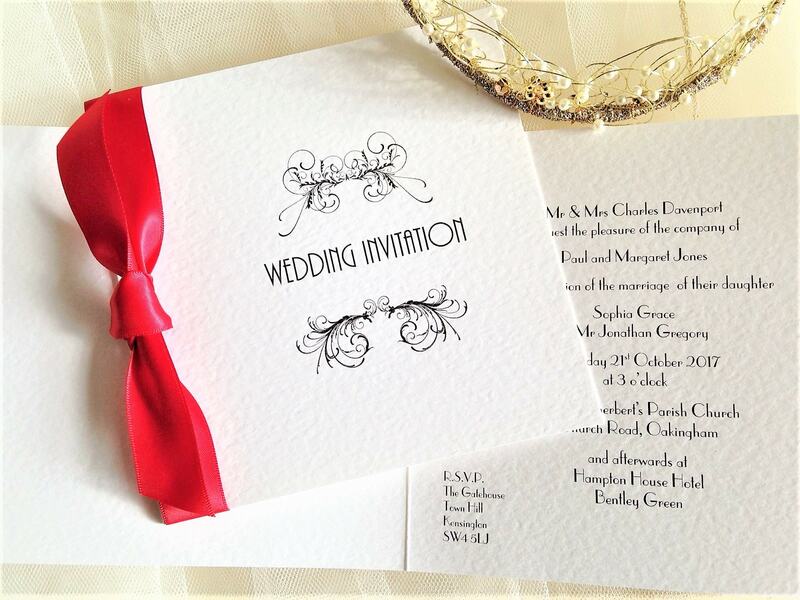 This wedding invitation design is part of our Art Deco Wedding Stationery Range. 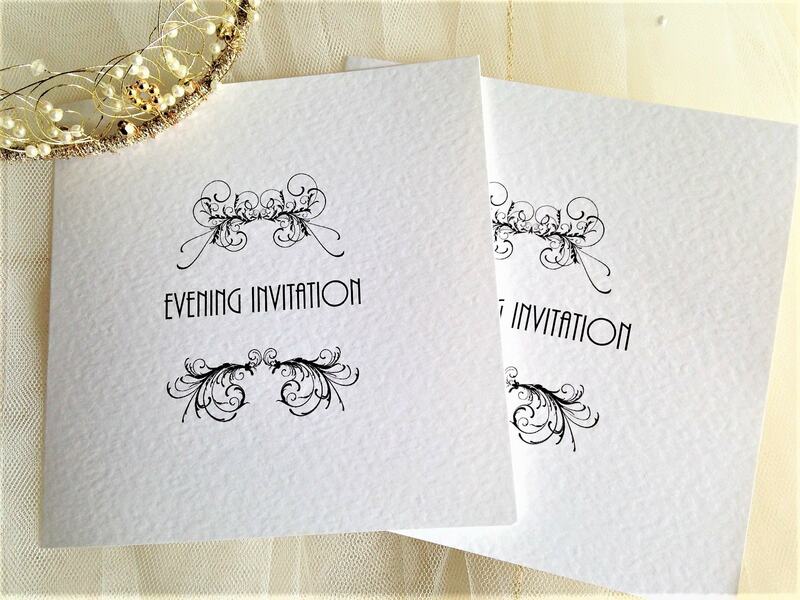 If your wedding theme is full of art deco glamour and 1920’s sophistication then our Art Deco wedding invitations and wedding stationery is perfect for you. 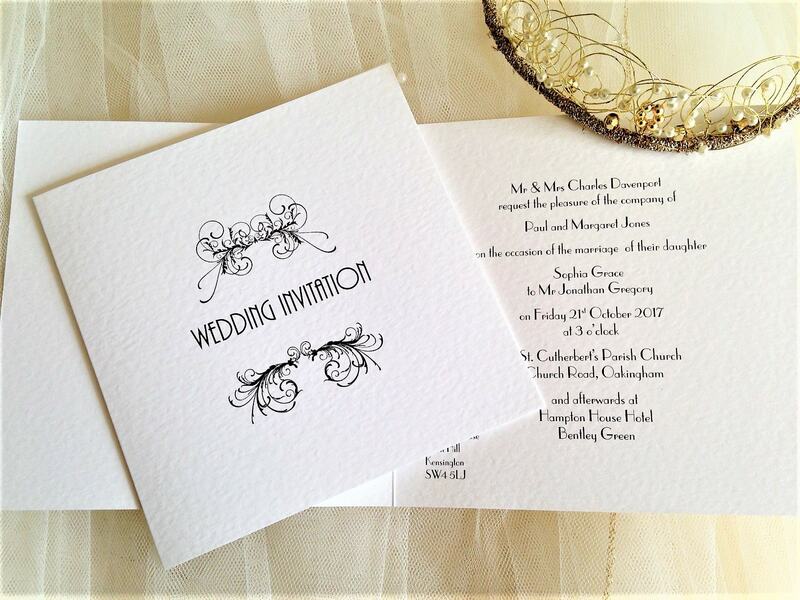 Art Deco design emblem is only available in black.